Helen Scott Design has been featured in the May/June issue of Your North East Wedding magazine! One evening in the early summer of 2016 (which also happened to be one of the hottest days of the year) a bunch of talented North East wedding suppliers teamed up for Boho-glam, al fresco styled photo shoot. Flowers and summer foliage where a natural inspiration for the On the Day stationery created for the shoot, which included Welcome signage, Order of Events, Table plan and place cards. The shoot also featured a range of beautiful Wedding and Bridemaid Dresses, Table centre pieces and props, Flower decorated Wedding Cakes and boho head dresses. 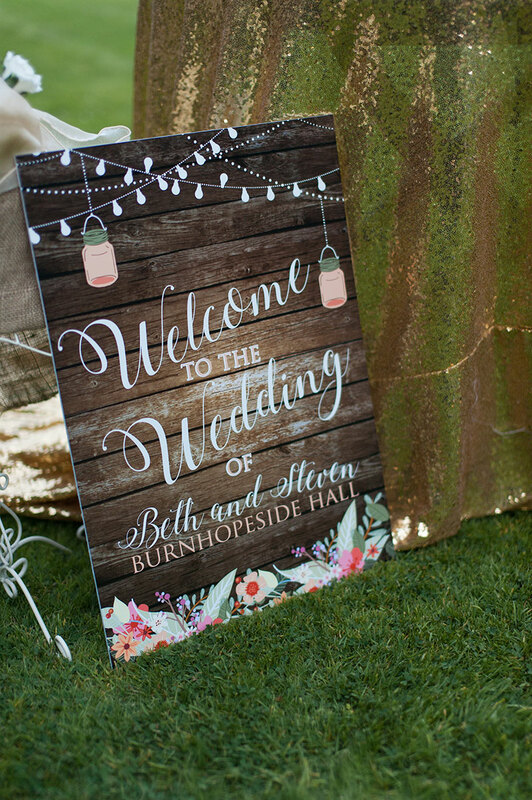 The images taken by Betty Bage Photography and Amy Orrick Photography really capture the the summer, woodland affair we created that evening. Your North East wedding is available to buy for WHSmiths or online.